The third Fashion Can Serve is set on October 8 at Raffles Makati. The I CAN SERVE Foundation fundraiser brings together six of the country’s most exciting fashion designers: JC Buendia, Ito Curata, Cary Santiago, Vania Romoff, Mia Arcenas, and Rosenthal Tee. They will showcase their creative vision and use their Holiday 2017 collections to send this year’s message of hope and raise support for the Foundation and its breast cancer awareness advocacy. “Two years ago, in Fashion Can Serve 2015, we had each designer’s segment end with two muses who were either breast cancer survivors or our celebrity supporters. For Fashion Can Serve 2016, the theme was ‘We Don’t Walk Alone’ and the muses walked with a family member or friend who accompanied them on their journey battling the cancer. “This year our theme is ‘Why We Fight’ – and we are honored to have TWO partners this year for our show. We are extremely happy and grateful to have Philip Stein back as our partner for the second year; and this year we have Jewelmer as a partner, too. We would also like to thank our other sponsors – our MAJOR SPONSORS: Security Bank & Del Monte Philippines who are both back for the third year in a row – and Manulife Philippines; our MINOR SPONSORS: returning sponsors PAGCOR and Mercedes Benz and new sponsors Mundo Design+Build and Ideal Vision Center; our media partner, Summit Media; our exclusive and official TV partners, 2nd Avenue & ETC; and Philippine Star, Manila Bulletin, and the Inquirer Foundation. And last but by no means the least, Raffles Makati with its generous and steadfast support for five years running, including the 15th anniversary of I CAN SERVE in 2014,” says Foundation chairperson Libet Virata. 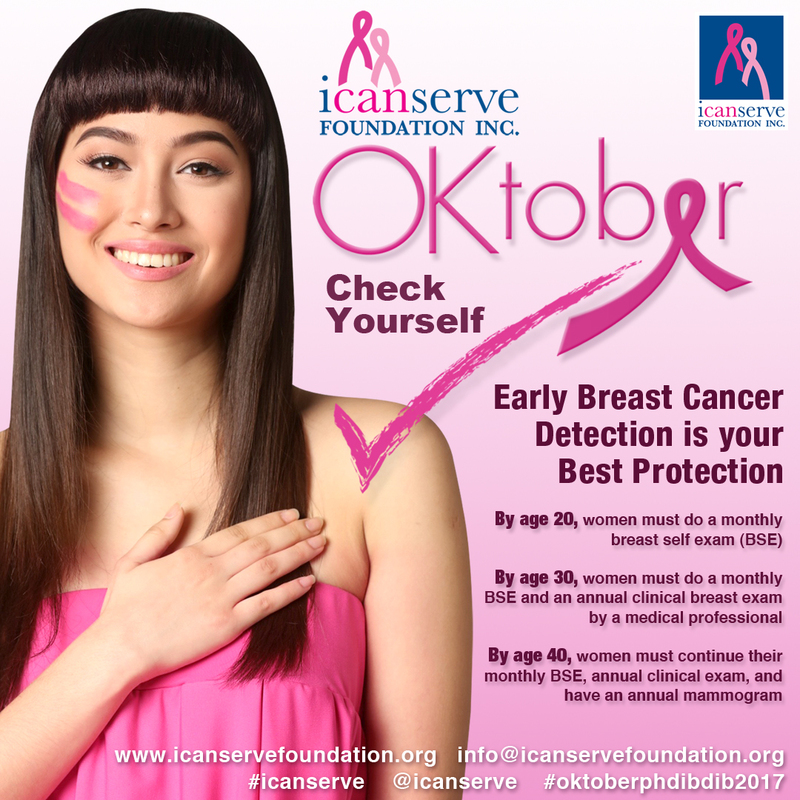 “Our theme emphasizes the reason why persons diagnosed with breast cancer choose to fight: They do this for their spouses, children, and grandchildren,” says Foundation president Tang Singson. 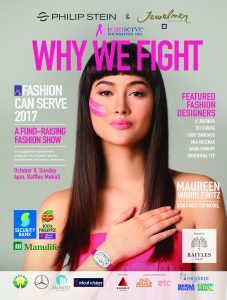 Maureen Wroblewitz, the first Filipina to win Asia’s Next Top Model, is the face of Fashion Can Serve 2017. 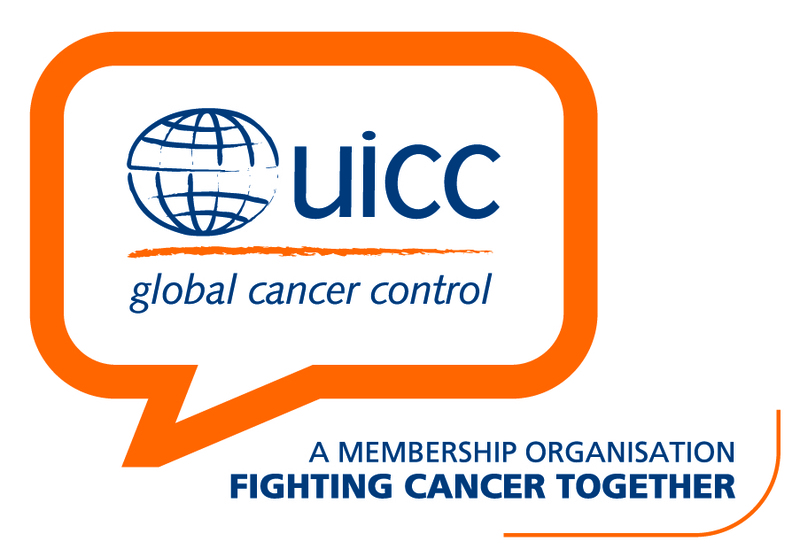 Her late mother, who succumbed to breast cancer in 2009, was an e-group member, benefactor, and volunteer of I CAN SERVE. It is in her memory that Wroblewitz is supporting the Foundation. This year’s muses also include Margie Moran Floirendo, Gloria Diaz, Pia Wurtzbach, Solenn Heusaff, Jasmine Curtis­Smith, Katarina Rodriguez, Tootsy Angara, WynnWynn Ong, Sandy Moran, Sabrina Panlilio, and co-founder Crisann Celdran, among others.